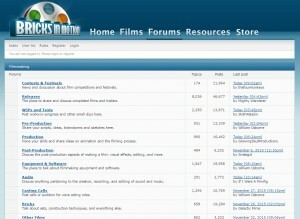 Since 2009, I have owned and operated BricksInMotion.com, the largest online community devoted to the art of stop-motion animation. The website focuses primarily on films made with LEGO toys and similar products. 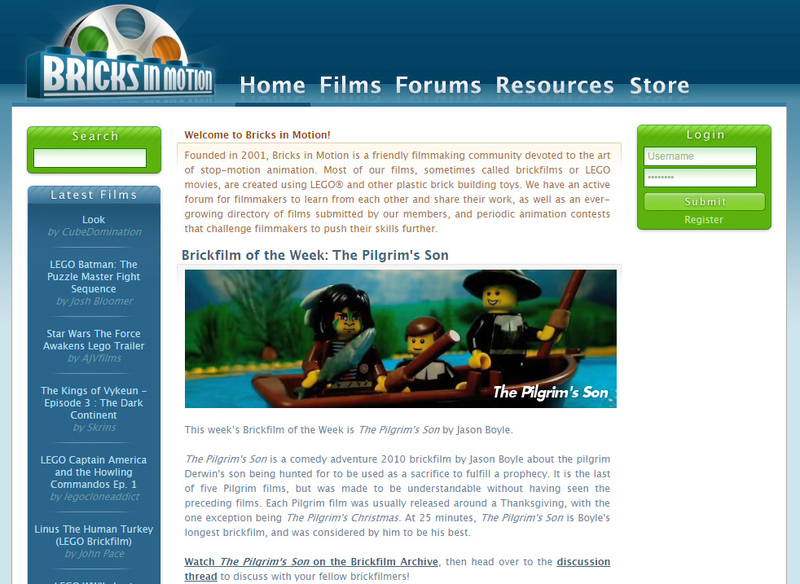 With over 3000 members and an active forum where these filmmakers share their films and discuss the craft of stop-motion filmmaking, BricksInMotion is a place for budding filmmakers to hone their skills alongside like-minded creative individuals. 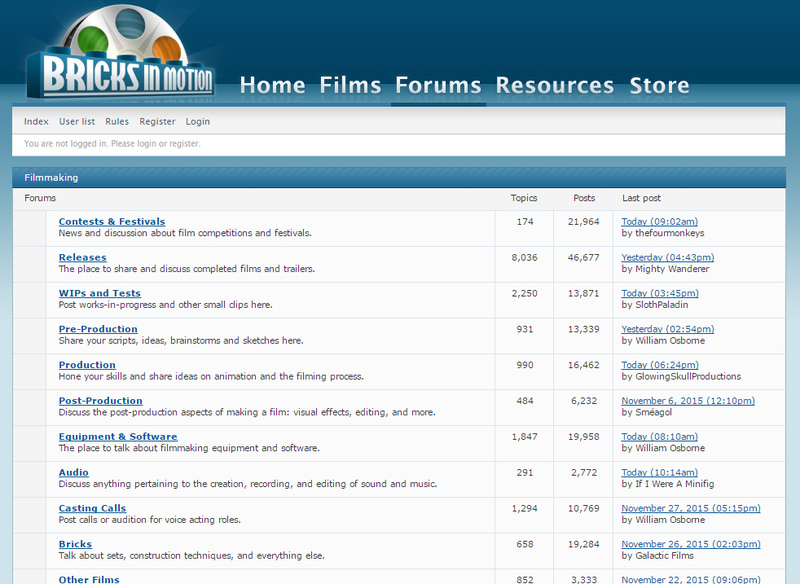 Many of our members have gone on to film school, or pursued successful careers in filmmaking. My goal has always been to make it a welcoming, helpful community for beginners, as well as adults who create films as a hobby. 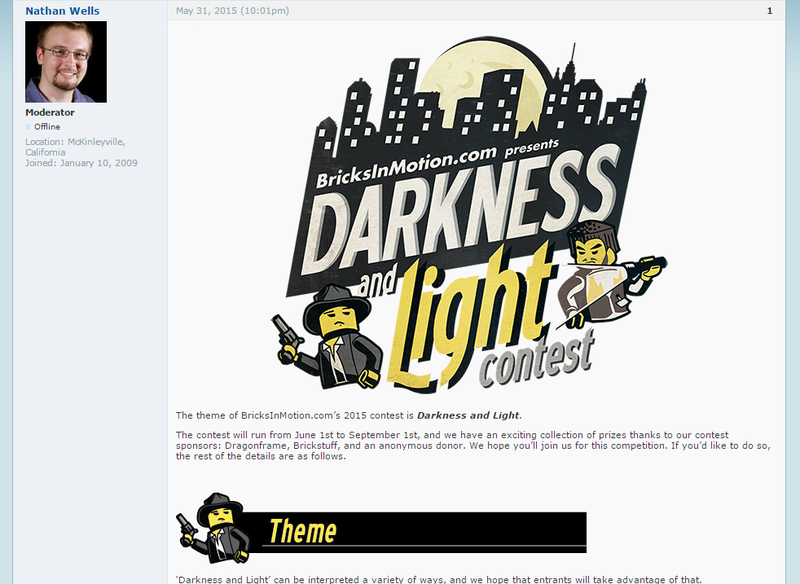 The community on BricksInMotion.com consists of both. I have managed a staff of volunteers who moderate the forums and write articles and other content for the website for the past seven years. 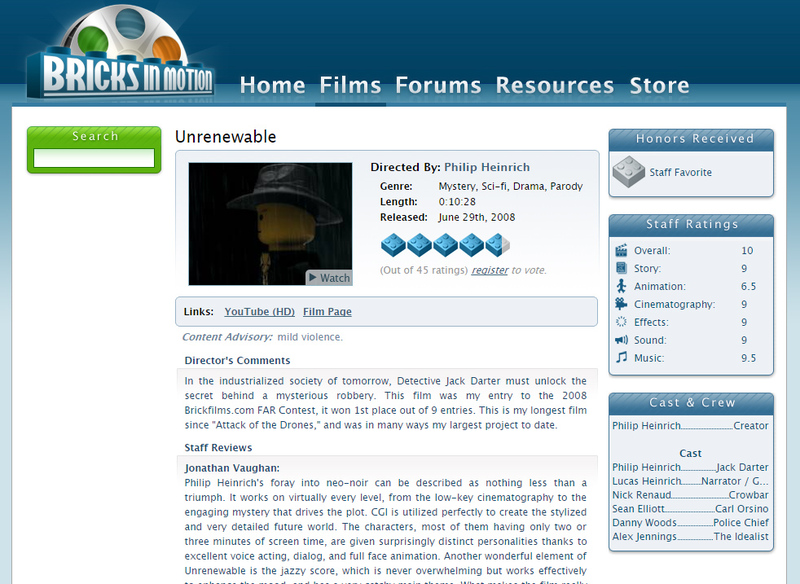 I also designed a film directory with ratings and reviews for the films, executing it with the help of my programming team. We hold multiple animation competitions each year, working with sponsors such as Dragonframe and Brickstuff to challenge our filmmakers to try new techniques in a good-natured but competitive environment. Most recently we completed our summer contest for the year, Darkness and Light; we also host the Twenty-four Hour Animation Contest (THAC) each year, receiving as many as a hundred entries from stop motion filmmakers who must create their films in a 24-hour period for the contest. While I am in charge of the site, it is larger than anyone person and the help I’ve recruited from others over the years has been invaluable. Running a community filmmaking site has been a valuable experience in learning how to lead a team of people in a shared goal. 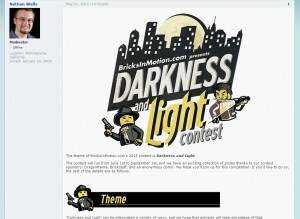 I also made a feature length documentary about the people of BricksInMotion.com, titled Bricks in Motion.